“I only brought the idea to one company, Legendary, because they do the kind of quality work of which any writer would be proud." stated Brooks. “Max Brooks is a visionary with an incredible ability to tell stories that deliver a fresh approach to the horrors that haunt our nightmares. His work on Extinction Parade has been a stunningly rich tapestry of cultures in decline and a biting indictment of the perils of privilege. It will make the perfect television series to appeal to fans who have until now settled for thinly veiled soap operas parading as horror,” said William Christensen, Publisher of Avatar Press. Legendary is the studio behind recent blockbuster film 300: Rise of an Empire and the upcoming release of Godzilla this spring. Their slate of film projects has firmly targeted the pop culture and comic book reading community and provided some of the best blockbuster genre movies ever created. 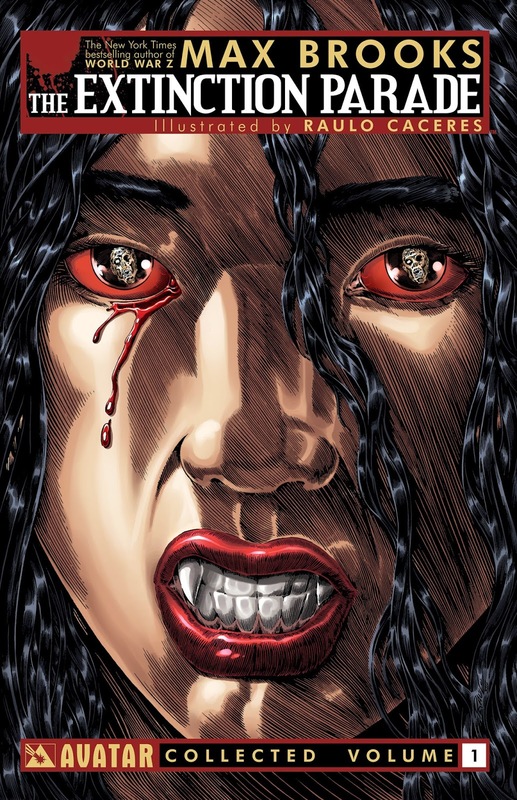 They bring the ideal approach to adapting a hit property like Extinction Parade into a successful television series. Brooks is known for his meticulously researched zombie fiction and is the author of the bestselling novels World War Z and the Zombie Survival Guide. Recently World War Z was adapted into one of the biggest theatrical horror releases of 2013 and now Extinction Parade is set to follow suit as an upcoming television series. “While the comic series from Avatar continues, I am thrilled to be working with Legendary to develop Extinction Parade into an innovative new series for television,” stated Brooks. As these two fan favorite undead species prepare to make their television debut under the direction of Brooks’ definitive vision joining programs like The Walking Dead and Hannibal as the best horror on television, the first chapter of the Extinction Parade graphic novel series is set to premiere this coming July. The trade paperback collection offers a unique opportunity to step into the world of zombies vs vampires and experience a terrifying new chapter in horror. About Max Brooks is a critically acclaimed author most widely recognized for his New York Times bestselling novels World War Z and The Zombie Survival Guide. World War Z was adapted into a blockbuster theatrical release in 2013 and has an upcoming sequel in development. His graphic novel, The Zombie Survival Guide: Recorded Attacks, is also a New York Times bestseller.